Guéridon is well known for its eclectic collection of rare furniture, lighting and home furnishings from many of the most important European designers of the mid-twentieth century. The collection includes original pieces by Paulin, Guariche, Matégot, Parisi, Borsani, Perriand and Chapo. After opening in 1996, we quickly established ourselves as the resource for the work of French ceramic artist Roger Capron. Our Capron collection includes rare vintage tile tables, molded ceramic pieces and sculpture as well as custom designs made with our stock of vintage tiles and sanctioned by his estate. In 2002, Guéridon introduced authentic Serge Mouille Re-edition Lighting to the U.S. market and remains the definitive source of these iconic examples of French Modernist design. In 2016, Gueridon expanded their collection of lighting with the ambient Onyx lamps. 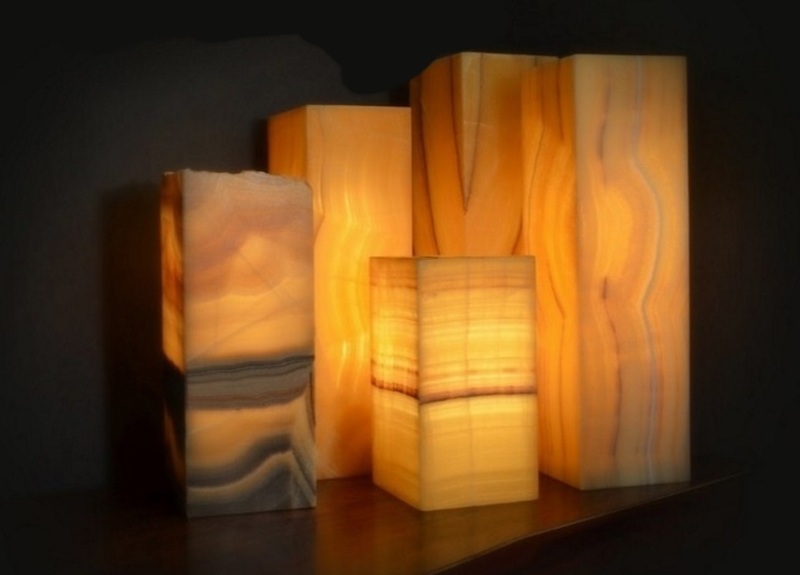 These sophisticated translucent stone lamps spread a glowing ambient light that sets the right mood in any setting.